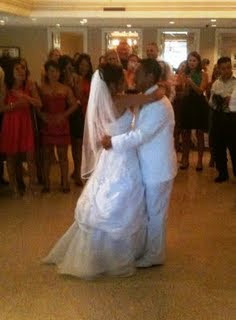 Johnny and Mai had their family and friends at the Wichita Country Club for their wedding reception this past Saturday. We provided karaoke, they provided the singers! Like all Vietnamese weddings, it was quite the party and the karaoke was a huge hit! DJ SmoothT and DJ Twitchy were spinning all night, and everyone had an awesome time. A special note goes out to all the vendors involved...you guys were awesome to work with! Also, thanks again to Johnny and Mai for having Edge Sight and Sound karaoke as a fun addition to your wedding!